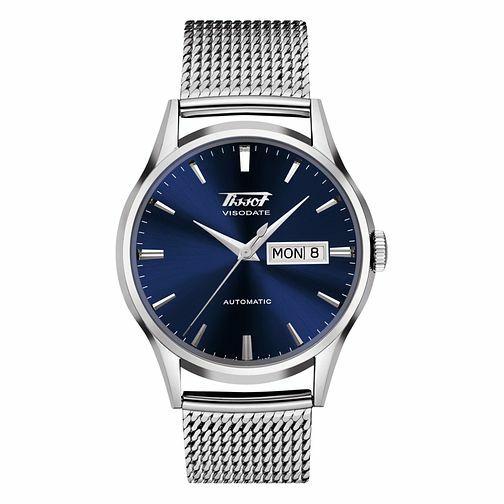 Exclusive to Ernest Jones, this Tissot Heritage Visodate men's watch brings nostalgia to the wrist. A midnight blue dial presents both a day and date display at the 3-o-clock position, with sleek silver tone hour indexes and three hands. Complete with a stainless steel mesh bracelet, classic and contemporary is combined with this timeless Tissot timepiece. This watch is water resistant up to 30 metres.